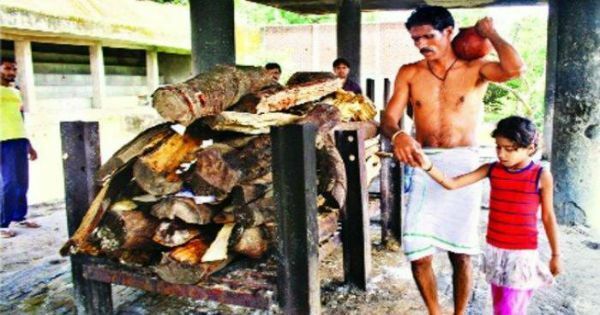 Rising above his religious beliefs and the faith he practiced, Razzak Khan Tikari, a resident of Chhattisgarh, did what only a few of us have the heart to do. Breaking all religious barriers Razzak, despite being a follower of Islam, performed Hindu rites for his deceased friend, Santosh Singh. Religion has at times come in the way of love, happiness and friendship. But this time it wasn’t to win. Singh, who belonged to Harda area and was living with his family in Baitul, was suffering from a critical health condition to which he succumbed on 20 September. He is survived by his wife Chhaya and their eight-year-old daughter. Unable to arrange money to perform proper religious rites for her deceased husband, Santosh’s wife was helpless. At this time, Santosh’s friend for years Razzak came forward and took the responsibility of carrying out all the religious rites and to cremate the body of his deceased friend. Razzak, despite being a Muslim, never let religion come in the way of his friendship. He performed all the rites as per Hindu tradition and cremated Santosh’s body. “Religion should not become a barrier in friendship,” Razzak was quoted telling Catch News. This certainly leaves us with one thought – is it really so difficult to keep religion aside and believe in the power of love and friendship. Well, with Razzak’s live example, it doesn’t seem like it.